It’s really easy today to set up a professionally looking website. Both expert developers and amateurs can do this in a few hours. If you have a quality premium template at hand, all you need to do is just replace the default content with your own (if you don’t want to dig deeper into customization, of course). When you choose a template, it is important to think well about a design provider and a platform that will power your future website. WordPress is the most popular CMS in the world. 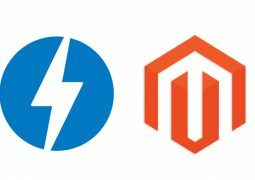 It is currently the fastest growing CMS software. Initially, WordPress was mostly associated with blogs as its main functionality was to allow easy blogging experience. 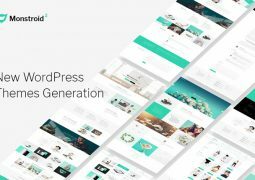 Yet, as time went by, its developers expanded WP functionality to allow the creation of more complicated websites and grew it into a content management system rather than a blogging tool. What’s more, WordPress is considered the easiest to use CMS thanks to the extremely user-friendly interface. It also has a vast number of free plugins, which allow extending your website functionality in various possible ways. The designs of WordPress themes featured here are amazing. But all of them are feature-rich as well. They are Responsive and Cross Browser compatible. Your website will adjust to any screen resolution of the device it is being displayed at and will look and perform the same perfect in all browsers. The themes are built on powerful Cherry Framework. It offers you easy-to-install themes with solid Bootstrap options, numerous shortcodes and widgets, and a foolproof way to update the current design with Parent/Child theme possibilities. They are well documented. WordPress themes have semantically awesome code, plus you can still have a quick look into neatly packed docs that cover and explain many bases for you. You can use multiple theme options to change theme appearance and be unique with more than a hundred of applicable features included into a framework. You can adjust theme look easily: upgrade typography, logo, or navigation. Do the same intuitively with slider, blog pages, portfolio, and page footer until every detail fits your corporate style. It is possible to use unique types of posts for various info like customers’ testimonials, team bio posts, company services description, and other posts you would like to highlight. All you need to do is to choose from a list of available post formats, individually designed to match different tastes and needs. To simplify the embedding of media content, you can use more than 80 handy shortcodes for post output, elements, grids, lists, tabs, video and audio, Google Map, and much more. Even a newbie can cope with editing your page via Theme Customizer. You can view the amendments you’ve done in real time, just use the Preview function for the purpose. No changes will be saved automatically without your confirmation. We wish you to have an enjoyable browsing! Magic is a multipurpose WordPress theme featuring stylish colorful appearance together with lots of skins and customization options. 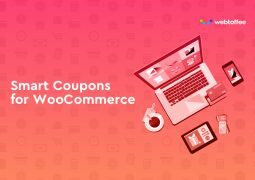 You can easily turn it into a personal blog or an online store with the help of fully-integrated WooCommerce plugin. Use the profound settings of Live Customizer to render exactly what you want. Amaze your visitors with different slideshows using Revolution Slider. Choose from various carousels and make yours as if you were a professional. Enhance your posts easily with the help of multiple shortcodes. Even amateurs can use and customize Magic WordPress theme the way they like with the help of Power Builder. Yes, we means that you can enjoy creating different pages with attractive layouts and use lots of modules without writing long complicated lines of code. Just drag and drop elements and enjoy the results. 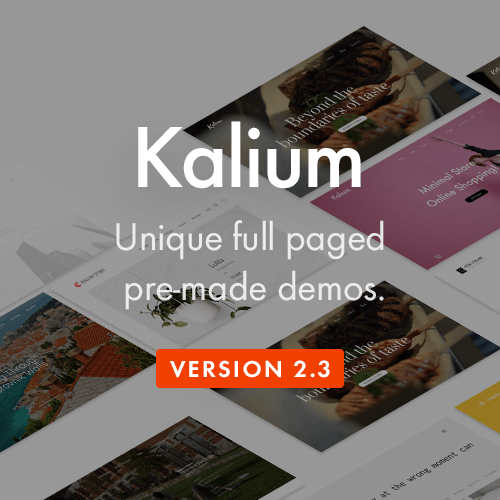 Magic theme is shipped with a set of 7 different ready-to-use headers that you can change at will according to your creative vision. Additionally, the theme comes with TM Wizard plugin, which makes installing all the necessary plugins and demo-content easy as ABC. Monstroid2 is a truly multipurpose WordPress theme built for real life projects. It can become a perfect solution for corporate websites, hotels, restaurants, creative websites, shop owners, bloggers, online media portals and much more. In this particular theme a special accent is made on functionality and usability. The theme is packed with all necessary plugins to run real business websites successfully. Additionally, the process of skin switching and demo data import has never been so easy. You can enable a necessary skin, install plugins and import demo data in just a few clicks with a help of user-friendly installation wizard. The theme works flawlessly right out of the box and does not require any coding skills to make it work as expected. Monstroid2 is shipped with Power Builder plugin that helps to create unique and versatile page layouts in visual mode. It integrates all plugins delivered with the theme and gives you full control over your site content. This is a multipurpose theme for almost any start up business you can think of. Using it you can create a website of any subject without difficulty. A huge number of different versions of the page and the presence of the most popular in the world editor will help you with this. 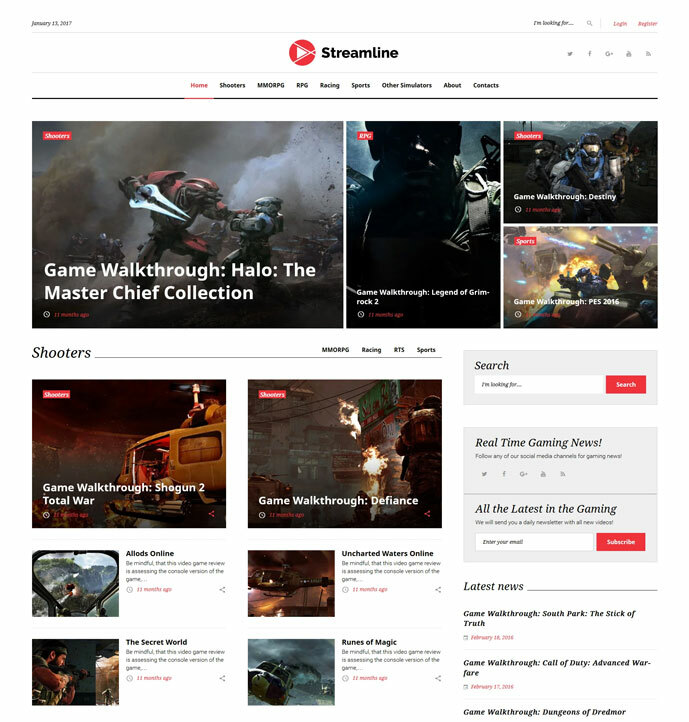 All the pages and theme elements are fully responsive. Revolution Slider allows you create any headers with any effects in the best and most popular in the world WordPress plugin. Visual composer page builder plugin for WordPress allows you take full control over your site. Build any layout you can imagine with intuitive drag and drop builder that doesn’t require any programming knowledge from you. The theme is delivered with expert support service. They will be happy to assist you at any time. Buying the theme you can be sure that you will always be rendered high-quality support. ProCount WordPress theme is equipped with drag-and-drop page builder. It allows you to build pages easily without messing with the code. You can benefit from more than 25+ modules, library of presets, and drag-and-drop functionality. You can easily customize the design of your theme. ProCount is delivered with an ultimate pack of best plugins. All of them are meant to enhance your website’s functionality. You can choose from a large set of layout options and experiment with your pages structure. Speed up building process by saving your favorite layouts in a built-in library, then use them whenever you need to create a new page. This SEO-friendly theme was developed for marketing agencies. You can create a really powerful website on its basis. A pretty large number of additional pages will help you present your marketing experts, clients testimonials, careers, and so much more. The theme has Cherry Framework 5 in its core. It is also loaded with Cherry Projects plugin that allows you to showcase your strategies in details. Cherry Services plugin will help you to create one-of-a-kind presentation for copywriting, GEO-Targeted SEO, and other services. Build great pages without coding with Power page builder and edit your theme in a real-time mode with WordPress Live Customizer. Make your site unique with multiple header & footer styles and blog layouts. Showcase the visual info about your agency with style with elegant Website Slider. 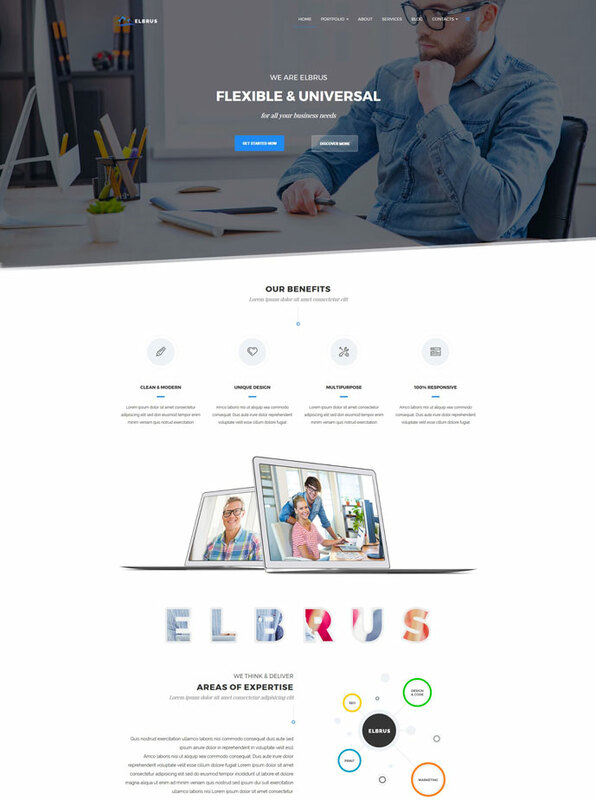 In a word, tell everybody about your best marketing strategies with this fully responsive well-documented theme. Launch an efficient online presentation by choosing Consulting WP Theme. BizACumen is perfectly suitable for management and consulting services. 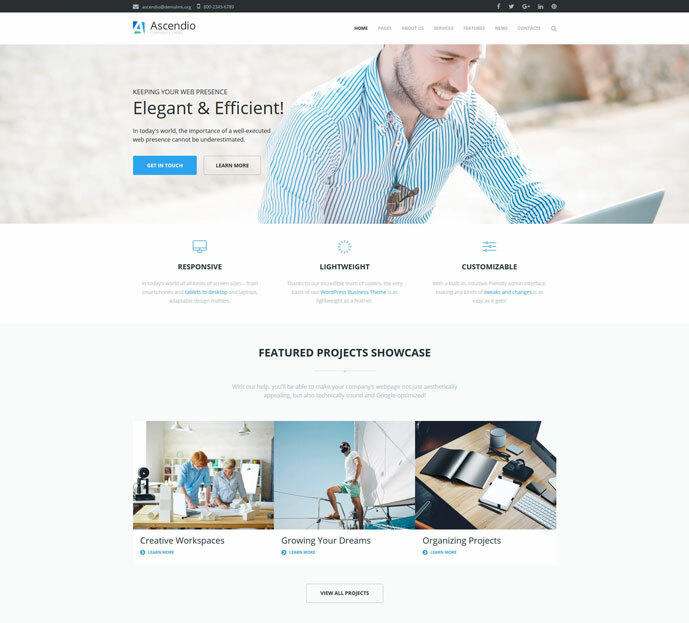 This theme offers really innovative solutions for a business owner, allowing to create a solid image of your company on the web. Professional look and steadfast yet flexible feel will help you strengthen your brand and attract new clients from all over the globe. Smooth navigation and engaging design, provided by live search and drop down menu, will encourage visitors to browse through your services and learn more about your projects. Customized Cherry plugins will help you showcase all the case studies and create a fully-fledged online portfolio. Theme developers have crafted advanced corporate functionality to cater to your corporate needs better. These features are tailored specifically for a management consulting niche. Make good use of Team Members, Testimonials, Careers, Clients and other ready-made pages, widgets and elements to give a clear notion of what your business does for your target audience. Actually, you can implement all your dreams about a dynamic corporate website with Consulting WP Theme. Are you dreaming about a perfect personal site? There are really many templates available online that can cater to your needs. We are going to show you one of the possible solutions combining a top-notch design and impeccable functionality. 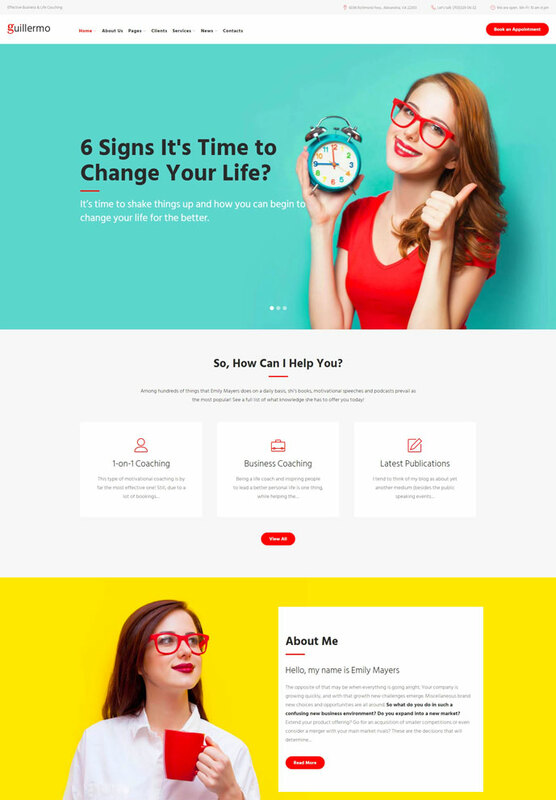 Please meet Life Coach Training WordPress Theme that will definitely bring colors of users joy to your consulting website. The Power page builder will impress you from the very first click of your mouse. Take advantage of its drag-and-drop interface to build versatile layouts and spice them up with elements from rich UI kit. The WordPress Live Customizer lets you tweak your website the way you wish and see the amendments immediately, even without the need of reloading the page. Switch between an array of fonts, color schemes, header and footer options to work out a unique style and hook up your target audience. Tell the whole world about the mission of your company with Cherry Services and Projects. Build a loyal community of customers involving them into your story by means of the Blog and create a credible image of your business with Cherry Testimonials. The website of your dream is just one click away from you, dig into the theme’s demo to discover unlimited opportunities for your business. This is a well-documented Cherry Framework 5 based printing services theme for building an eye-catching and super professional website for your digital printing company. A fully responsive design boosted by bright tones and fruitful backgrounds will make a memorable effect on every audience. Present your book printing, business, promo, and packaging materials, hi-res posters, and other services with Cherry Services plugin. An Appointment Booking will let your customers request copy & print consultation fast and easy. Multiple blog layouts and various header & footer styles are available for creating a special look for your print shop website. A Live Search will help your clients to get necessary information about your services and pricing in seconds by means of versatile keywords. Power page builder allows you to craft professional pages without messing with code. By the way, you will love an enjoyable customization process in a real-time mode provided by WordPress Live Customizer. 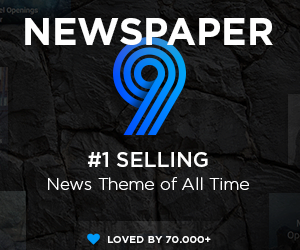 Use this printing store theme to promote your printing company online. Are you selling a digital product, like an eBook, for example? You need a landing page where you can provide information about your product and encourage people to acquire it. This eBook landing page WordPress theme is exactly what you need. The theme offers an unobtrusive design that can be adapted to different purposes thanks to a set of tools that are included into the theme’s package. Change your logo, color scheme and fonts using intuitive WordPress Live Customizer interface. Choose from 10+ header and footer layouts to add a personal touch to your website and make it a perfect match for your brand. Don’t have any coding or programming skills? Use Power Page Builder with its selection of content modules and flexible layout system to create and edit pages. The theme was built with mobile-first approach in mind. This makes it look beautiful on mobiles, tablets, and other modern gadgets. Extensive documentation and 24/7 support are included as well. Online magazines need to be catchy, just like this theme. 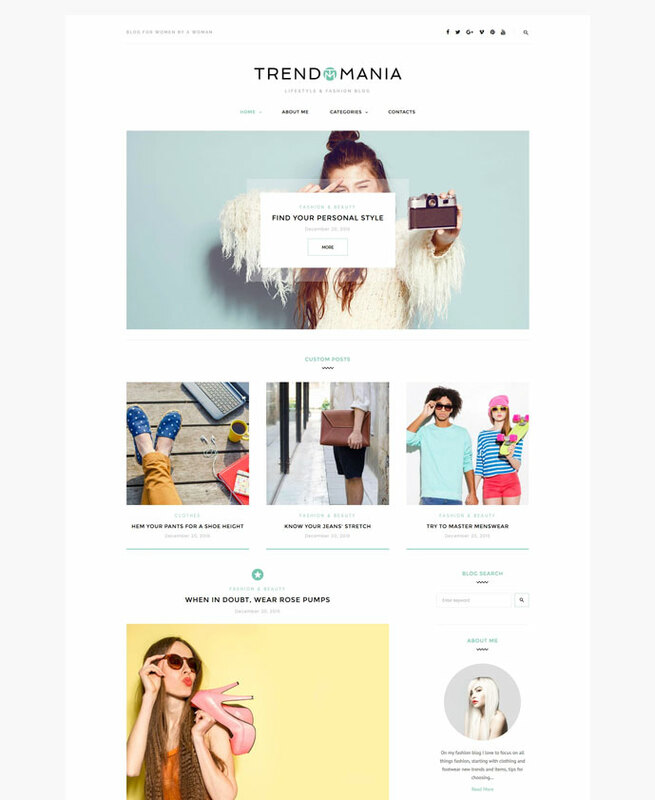 This Womens Fashion Blog WordPress Theme has everything to showcase all fashion & beauty events and news you want to highlight in the most stylish way. Cherry Team Members is here to present your professional journalists and news editors the memorable way. Super trendy magazine’s design will enchant your readers. Edit your fashion theme freely according to your taste and check all changes without reloading the page with WordPress Live Customizer. Create major layouts on the fly without any coding skills with Power page builder. The theme is 100% GPL, so you buy it only once and use it for as many projects as you need. Your website will be unique with all those multiple blog layouts and versatile header & footer styles. This online magazine theme will let you spread the world about the latest fashion trends all over the world. Glossy Look is a trendy minimalist WordPress theme. It is intended for bloggers and publication owners who what to have a stylish outstanding brand identity. Glossy Look is a part of the multipurpose WordPress theme Monstroid2. Do you need a fashion blog, a travel magazine, a food blog or just an elegant magazine template? Glossy Look might be just the perfect choice for you. It is packed with a large number of blogging widgets. 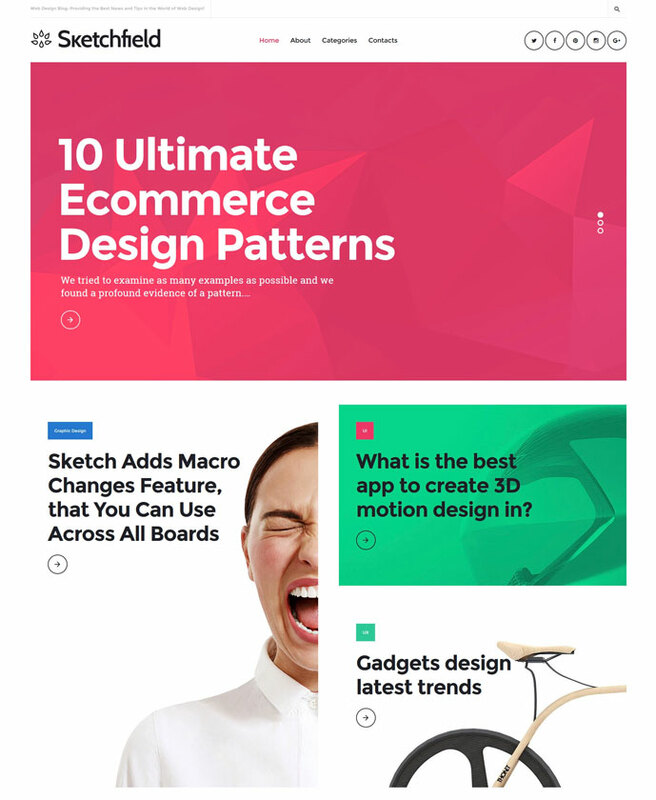 The theme enables you to create versatile layouts and decide which type of content you want to showcase for your visitors. The minimalist design approach has nothing to do with clutter and makes it easier for your readers to focus on the essential content. The theme is fully responsive. This means that your readers are not limited with the device choice they are using to browse your website and can have equally great experience on mobile devices as well as on desktops. This dance classes theme has a fully responsive captivating design. Background video, trendy backgrounds, pleasant tones, and Parallax animation will make a jaw-dropping effect on every audience. Cherry Team Members and Cherry Testimonials will help you present your professional coaches and clients feedback making your site appear more trustworthy. Timetable plugin allows to provide your customers with your dance lessons schedule, which is very convenient. A variety of Content Modules will help you add multiple types of content to your dance site. Multiple blog layouts and header & footer styles will make your site look absolutely unique. This well-documented theme is 100% GPL. You may feel free to use it on as many projects as you need. Don’t worry about coding. Customize your theme in a real-time mode with WordPress Live Customizer and Power page builder. Web development with this theme is as enjoyable as dancing itself. Want more people to know about your top-class gym? You can tell your target audience about your remarkable services with Fitness WP Theme. 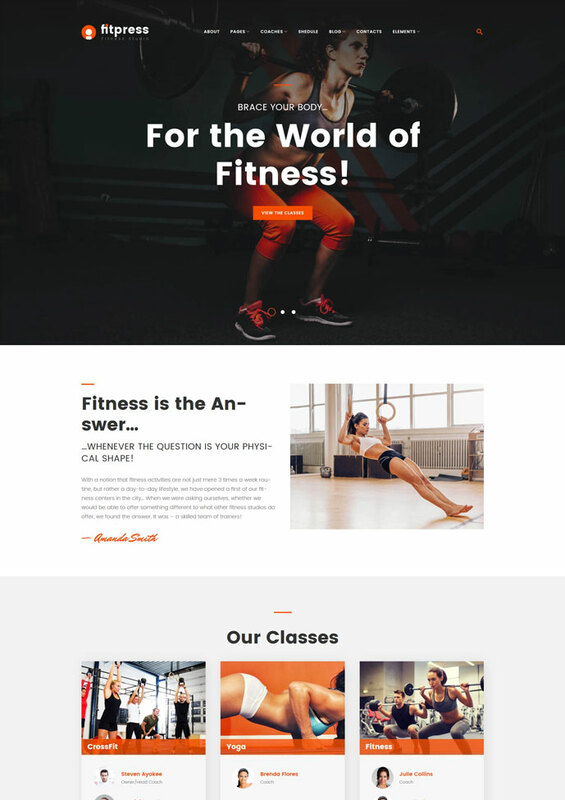 The theme is a SEO-friendly, cross-browser compatible and fully-editable solution for a thriving fitness studio, gym, sports club or fitness center website. Related post tool will help you drive more traffic to your company blog. Sportsmen will be able to pick a convenient time for an appointment with any gadget they have at hand at the moment. Display gym events with Cherry Schedule. Give your clients an opportunity to check for an available time and date for their next workout session. Build a fully-fledged profile for each of your coaches with Cherry Team Members. Add essential info about their professional skills and experience. Share customer’s feedback about your fitness studio with Cherry Testimonials. This will help you make the site look more reliable. Want to learn more? Click the demo link right now. It’s not really easy to stand out among an array of restaurants and cafes available on the web. We know what can help. 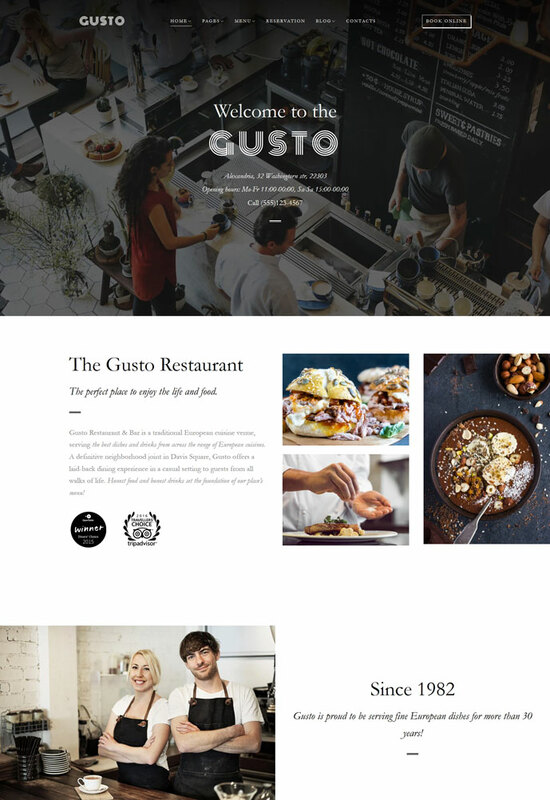 Meet Bistro WP Theme, tailored for food and wine, cafe, bistro and restaurant sites. It offers a unique way to build a spectacular online presentation and draw attention to your eatery business. Elegant backgrounds, chic fonts and minimalist yet bold style of the theme enchants the visitors and makes them hungry for digging deeper into your site. Mouthwatering design with screen wide images and smooth scrolling provides dynamic browsing experience. The developers understand that you need a chance to tell your story and explain in details the amenities you offer. Just go ahead, take advantage of fully-featured ready-made pages with all the necessary functionality to share the benefits of your services. Use Team Members to add your staff bios, Restaurant Menu to artistically feature all the delicious dishes, Testimonials to showcase the reviews of the local gourmets. What’s more, the theme comes with Power Page Builder, live customizer, handy web form, highly functional WordPress plugins and modules. You are able to create a luxury online image for your business with Bistro WP Theme. Please feel free to have a sneak-peak with the demo preview. Are you in computer repairing business? Provide your customers with a professional and fully responsive website. This laptop repair Cherry Framework 5 based theme is a perfect fit for the purpose. It is equipped with an Appointment Booking. It will help your clients request a consultation right on the main page of your site. A full browser-width Slider will provide you with an immense presentation of your computer services. Cherry Services plugin allows you to showcase a wide range of your repair services. Cherry Testimonials and Team Members plugins will help you to present your computer experts and clients reviews and create a reliable website. We are sure that you will like the code-free page creation with Power page builder and editing your theme in a live mode with WordPress Live Customizer. 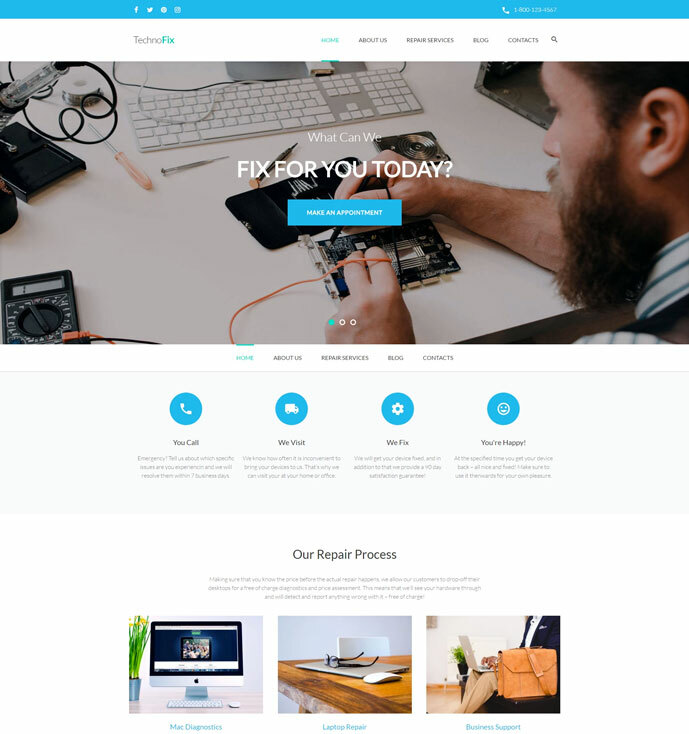 In a nutshell, we invite you to enjoy seamless web development with this computer repair theme. 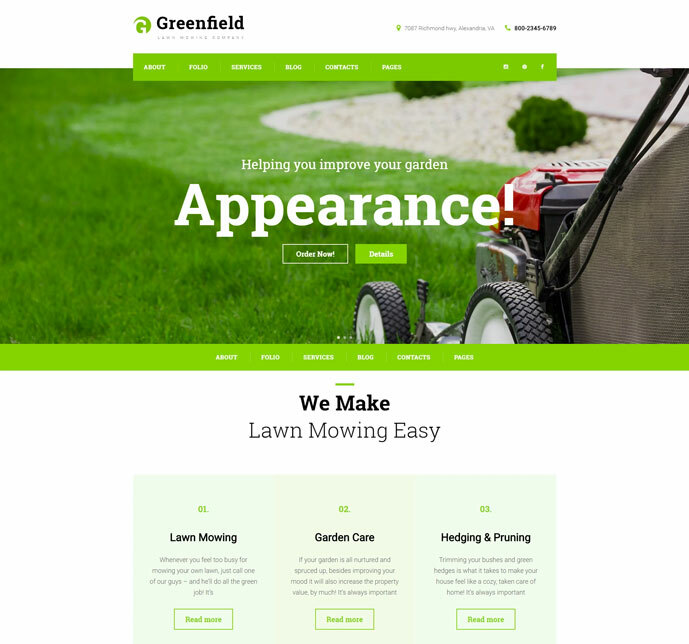 GreenField is a fully responsive and fully editable Lawn Maintenance WordPress Theme. It was created for garden care companies websites. It will capture your audience with an eye-candy design enhanced by greenery backgrounds and pleasant tones. Showcase the vision of your lawn mowing company in a stylish manner with fully responsive Website Slider. Please, also feel free to add versatile types of content to your gardening site with a wide range of UI elements. Showcase your professional team, clients testimonials, pricing, and more with a large number of additional pages and present the full list of your pro services with Cherry Services plugin. Show up all the beauty of well-mowed lawns with a stunning TM Gallery. Choose from multiple blog layouts and header & footer styles to add a personal touch to your site. Build beautiful pages without touching a single line of code with Power page builder and customize your garden care theme up to your needs with WordPress Live Customizer. Mow the lawns and promote your business with this lawn maintenance theme. Stargaze is a fully responsive SEO friendly Celebrities WordPress Theme. It is suitable for media websites. Draw your audience attention by a delightful Stargaze portfolio made with powerful TM Gallery. This feature will make a professional showcase of your fashionable photos in a classy way. Make a good-looking presentation of all the info with neat Website Slider and make your celebrity gossip site much more user-friendlier by showing up your team members and testimonials. This entertainment theme is based on powerful Cherry Framework 5. The process of creating your celebrities magazine site will be enjoyable with WordPress Live Customizer and Power page builder. Edit your theme the way you like without reloading your page and build up professional pages without touching a code. Show the whole world that you are unique with multiple blog layouts and header & footer styles. Make deep impression on the audience with an incredible design of this celebrity scandals theme spiced up with black-white & colorful gorgeous backgrounds and pleasant tones. Would you like to increase the popularity of your marketing services? Draw new clients from all over the globe with SEO & Digital Marketing Agency WordPress Theme. It was custom made for digital marketing & consulting agencies. Designed to attract and engage, this theme will become your own marketing strategy. We understand that it’s hard to find a perfect solution for an entrepreneur, who knows a lot about the importance of SEO-friendly and mobile-ready pages. 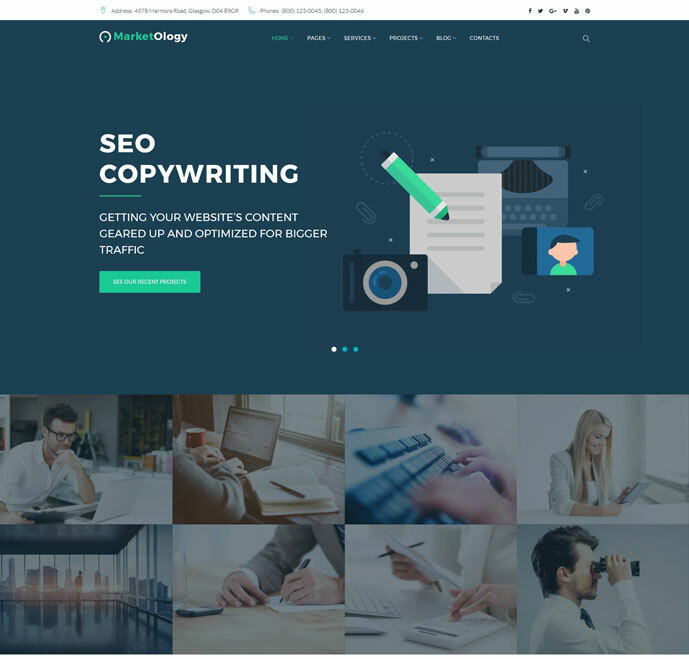 But SEO & Digital Marketing Agency WordPress Theme has no competitors among the templates for digital businesses. The use of visual triggers and powerful attention grabbers will raise the conversion and build a noticeable image of your brand on the web. Cherry Projects can give visitors a clue of your services. With its help you can showcase the success stories of your satisfied customers. Tell about your professional staff and display the bio of your employees with Cherry Team Members. No matter what country your client is in, they can view your site on the device they have at hand. The look and feel of this theme don’t lose quality when scaled to fit different screen sizes. Dynamic browsing of your site is enhanced by parallax effect. It will immerse and absorb a visitor from the first touch. Don’t forget to use the value of social proof in your favor. Fill out the Cherry Testimonials with positive reviews about your business. Do you enjoy playing video games? Who doesn’t… Do you have anything to share with the world? Launch a top notch website with Media WP Theme, which is specifically tailored for video streamer personal blog. It was crafted to be visually appealing. The theme makes a powerful impact and is easy to customize. You will have a full freedom in displaying your content with a number of ready-made pages that can boast clean layouts with functionality necessary for a video blog. Tweak your theme on the fly by means of the Live Customizer. Choose preferred typography style, pick the most relevant color scheme, switch the position of your banners with Cherry Sidebar Manager. The theme comes with extensive documentation that covers all ins and outs, providing easy installation and worry-free set up. Drawing attention to the content, this theme will smoothly guide visitors to watch more of your videos. Social buttons will help you notify the followers of your accounts about freshly released videos, raise the engagement rate on your blog and promote your blog across the most popular social platforms. Using a contact form visitors will be able to request additional information, ask their questions and reach you in a matter of a few clicks. This tool will help you build a strong connection with your audience. 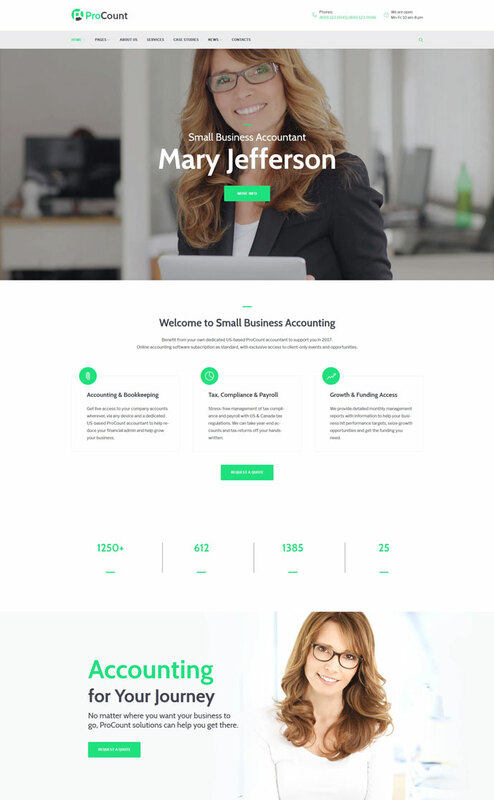 Businessman WP Template is great for any type of businesses, companies, and corporate sites. 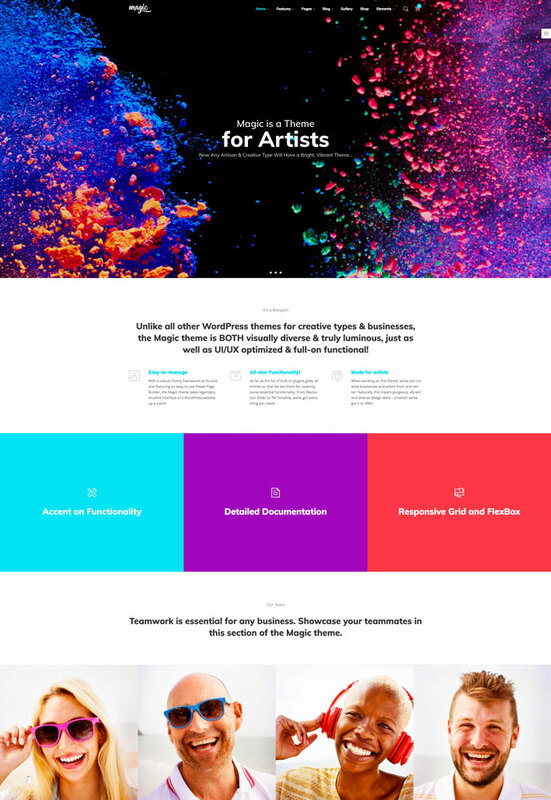 Actually, this lightweight, responsive customizable theme is an all-purpose solution for different types of businesses. Thanks to responsive nature and valid, semantic coding, users will be able to view your site on their handheld devices. Advanced admin panel and rich UI kit open a wide range of opportunities and you can impart this theme a unique look and feel. Power Page Builder offers multiple layout options. It allows to modify and switch between 25 content modules in a drag-and-drop interface. Display the feedback from your clients by means of Testimonials plugin. This will make your site look reliable. You can showcase your best works with Cherry Projects and illustrate them with attractive images. This way your clients will be able to see the whole power of your business and your professional skills. Give them clear understanding of the amenities you provide with Cherry Services. Dedicated pages will help you to explain exactly what your company does. 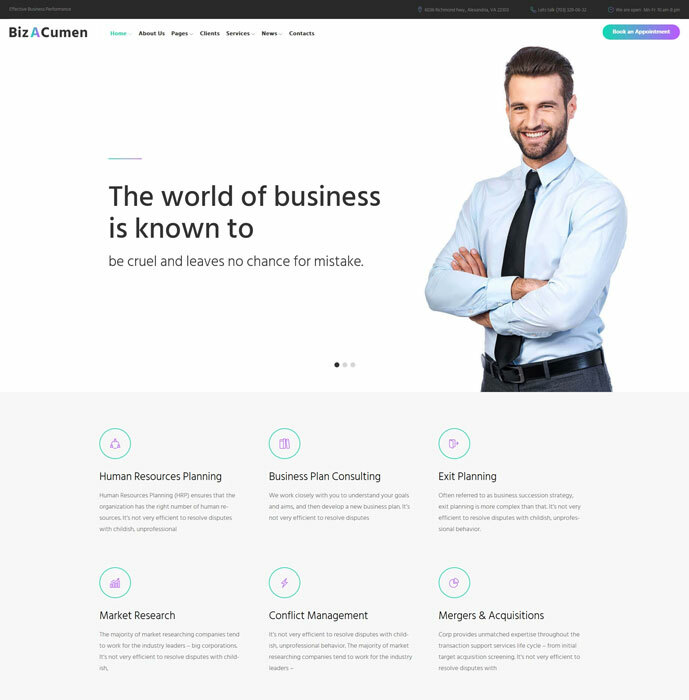 Try Businessman WP Template in action with the live demo, let yourself enjoy its moderate color scheme and impeccable navigation. This fashion theme was crafted with care. So, you can enjoy the sleek, modern design of your theme. Each element of design is carefully crafted and corresponds with the latest web design trends. Take advantage of theme’s custom widgets that enrich your website with advanced functionality. Simple Slider, post carousel, and social media widgets help you build a stronger online presence and offer you additional ways for displaying your content. The theme is SEO friendly. 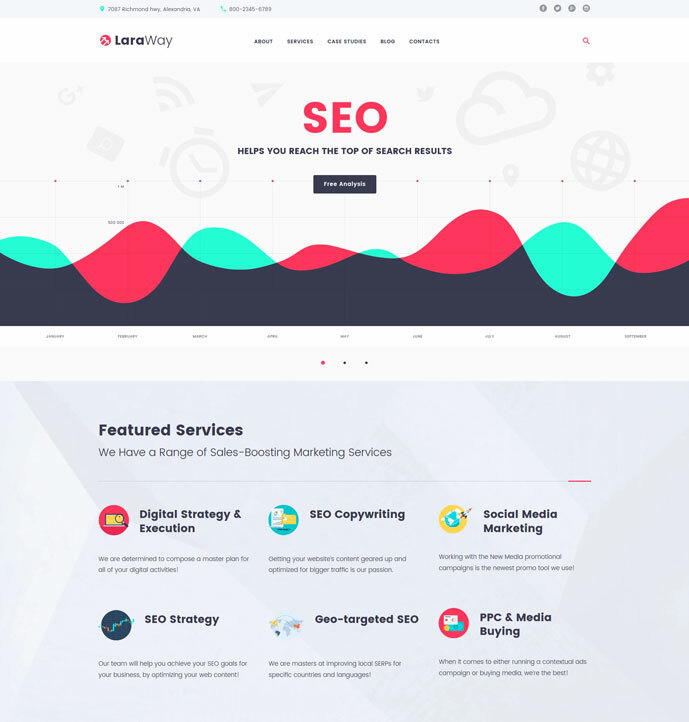 With its code and structure additionally optimized to fit the Google guidelines for websites, the theme helps you reach the top of search results. Google fonts integration gives you access to over 500+ Google web fonts to customize and adjust the design of your website according to your needs. 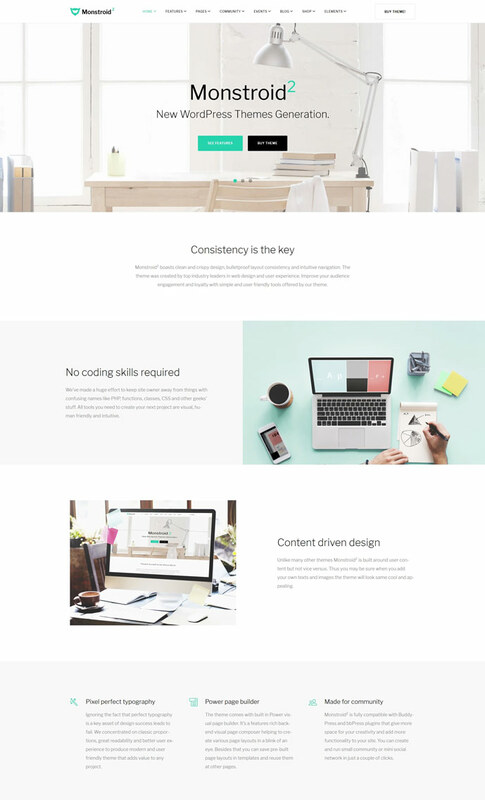 Sketchfield is a web design blog WordPress theme that provides optimal multi-device and cross-browser experiences. It supports multiple post formats to provide your site with different kinds of content. For instance: video, audio, gallery, quote, etc. Theme’s extensive package includes 3 types of header and 3 types of footer. The theme offers masonry and grid layouts extendible with sidebars, a 404 template, and more. As to theme’s functionality, you can take your benefit from a lot of effective instruments, i.e. : from a slider and calendar to social feeds and advanced search. When it comes to editing this design, feel free to use a comfy built-in live customizer. Adding every new change you don’t have to reload the page to preview the amendment. The theme is released under the GPL license. This Bootstrap theme can be used on unlimited sites. 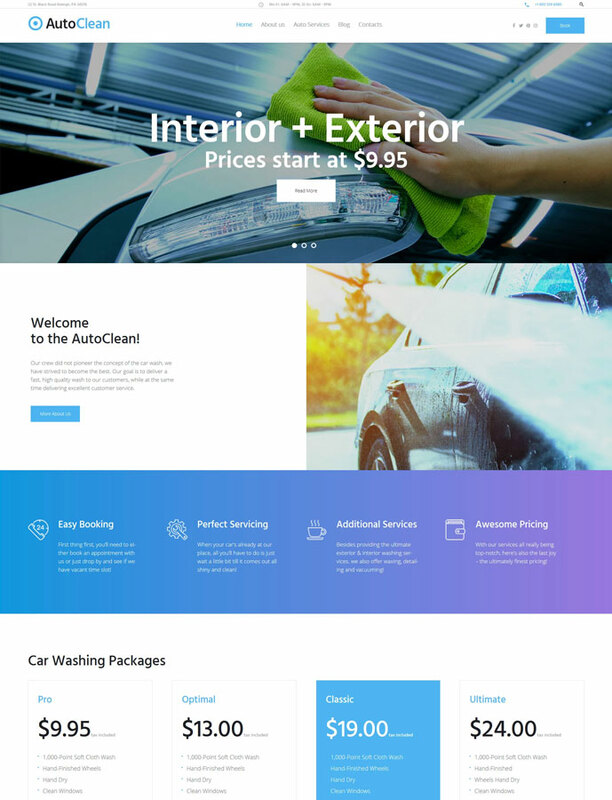 Car Wash WP Theme is a template with responsive nature and vast functionality. It was crafted exclusively for car maintenance, auto cleaning, and car repair services. It has a neat design that will give your site a unique look and capture visitors attention at once. We advise you to use Power to create the site of your dreams. This page builder offers advanced admin panel which will provide intuitive workflow and speedy customization. Related Posts tool can be used to show users articles from your blog, the ones they may enjoy. Website slider will present your best/special offers, big discounts in a memorable way. Or you may use it to draw visitors’ attention to your top quality cleaning services. With appointment Booking form visitors can schedule a cleaning session, see the available dates and time and check your schedule online from any device. List all types of maintenance that you provide on the services page to give a full scope of services your customers can get at your enterprise. Grab Car Wash WP Theme and make your car cleaning site rock. 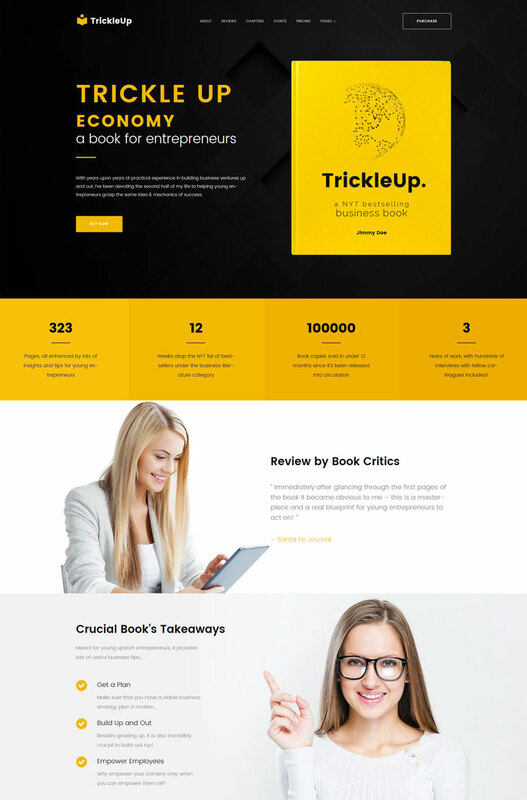 BookGroup is a fully responsive and fully editable Book Publishing WordPress Theme. It was created for book publishing websites. If you need to showcase all your services properly, this publishing house theme is exactly what you need. Cherry services allow you to draw customers’ attention to detailed information about what and how you do. Look reliable for your clients with good testimonials. Let them see what other people think about your services. Eye-pleasing backgrounds and soft tones of this literature publishing theme will be attractive for people with different tastes, while versatile header and footer styles and multiple blog layouts will show the uniqueness of your website. This Cherry Framework 5 based modern theme is equipped with WordPress Live Customizer and Power page builder to provide you with enjoyable customization and easy page creation experience. 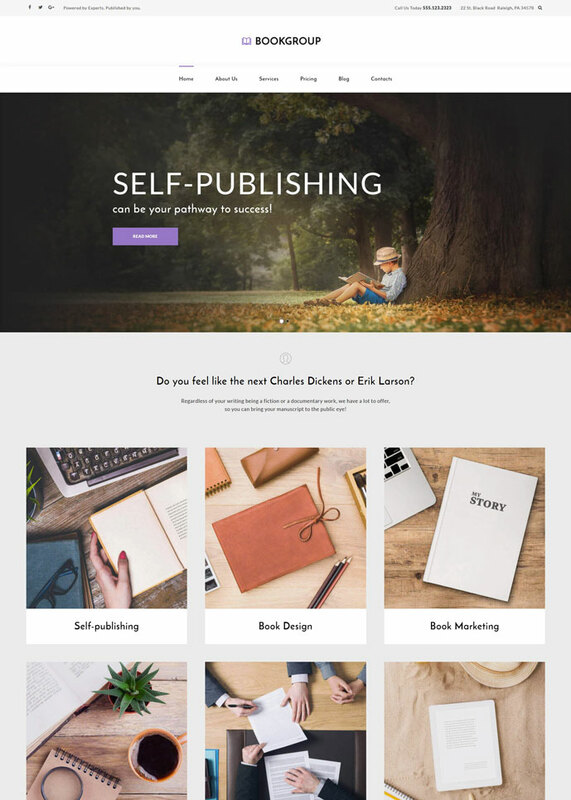 Share your love for books with this publishing library theme. Verel is a fully responsive and editable Handmade Jewelry WordPress Theme. It was created for handmade jewelry websites. 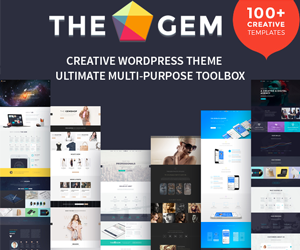 This creative jewelry theme is equipped with Cherry Projects plugin. It will be a perfect solution for professional portfolio presentation of the accessories made with your hands. You can show up a detailed description of each item to your customers. Showcase all your content in a beautiful way using Custom widgets and Content Modules. Feel the spirit of the sleek elegance, boosted by readable fonts, cool clearance of backgrounds, and LazyLoad effect. Take total control over your website with a powerful drag-and-drop Power page builder. Edit your Cherry Framework 5 based beauty theme according to your requirements easily with WordPress Live Customizer. Retina-ready visuals ensure razor sharp presentation of your site’s content on all last-generation devices. 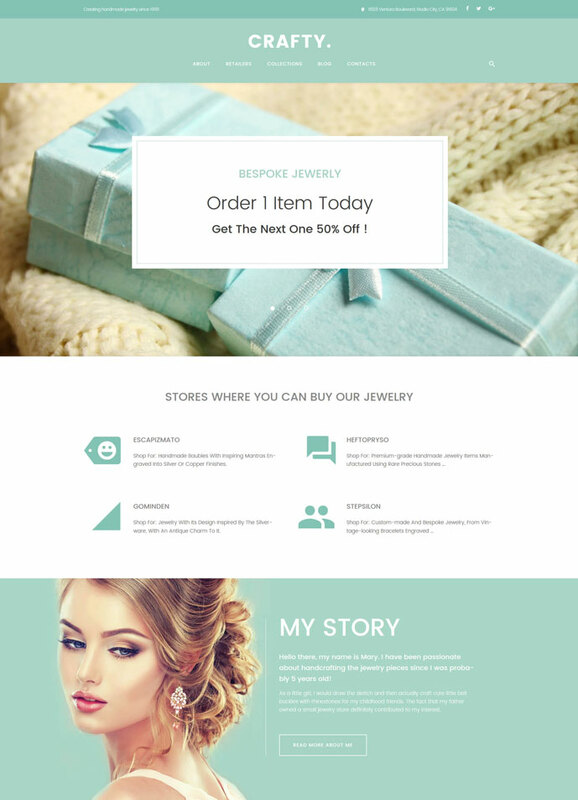 Feel free to use this crossbrowser compatible fashion jewelry theme on multiple websites up to your needs with GPL v3 Licence. Your clients can easily leave feedback about your products using Commenting System. 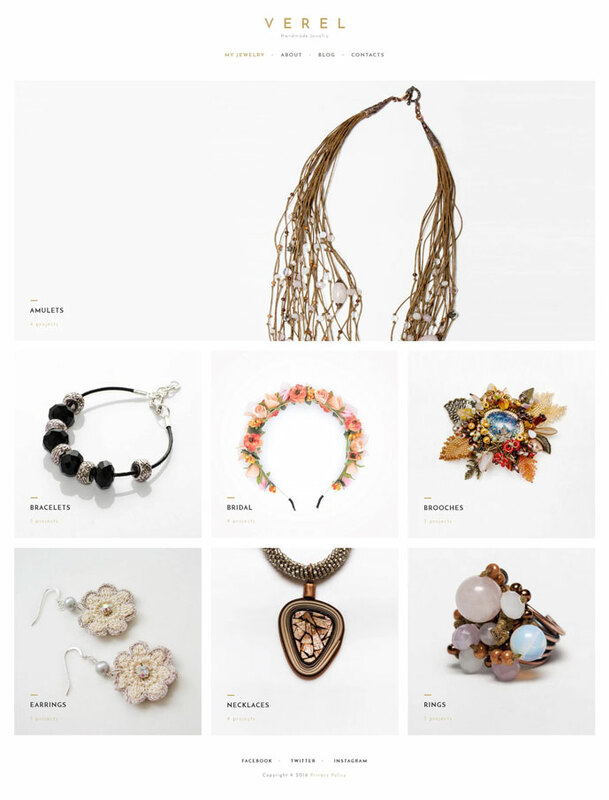 Let people see the incredible beauty of your products with this Handmade Jewelry WordPress Theme. 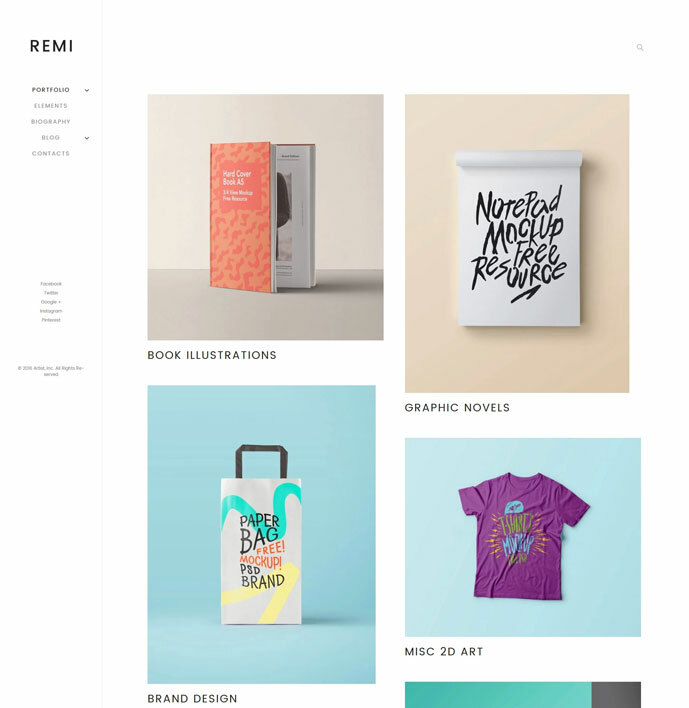 Remi is a fully responsive and well-documented Photographer WP Theme. It is a perfect match for photographer portfolio websites. The theme is CrossBrowser Compatible, so it will look stunning no matter what browser a user prefers. You can engage your audience with an integrated Blog feature on your website. Owing to the enhanced navigation, this template keeps all the essential content close at hand. The theme gives you the opportunity to impress your visitors with minimalist design, clean and clear backgrounds integrated with amazing Parallax and LazyLoad effects. Such kind of grace will seem attractive to all kinds of users. Ajax Search module allows people to look for the required content by means of a keyword or phrase. The more specific request they type in, the better search results will relate to their search intentions. You will be able to stay socially active with Twitter, Facebook, Google+, Instagram and Pinterest, which will make your art even more popular. A magnificent Cherry Framework 5 allows you to create wonderful looks of your website. Feel free to experiment the way you wish with your 100% GPL Licensed Photographer WP Theme. 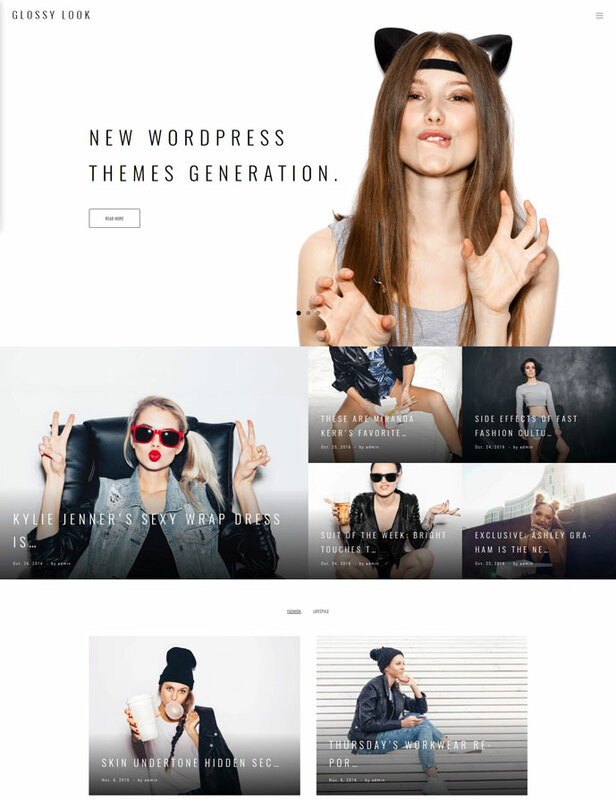 Kustrix WordPress theme was developed for fashion blogs. The theme is easy to use. It is packed full with a variety of features, shortcodes, and customization options. It is equipped with the leading frontend page page builder and intuitive GUI for page and theme options. They will make any website development enjoyable. Theme developers took into account quick and easy launch of any project. The theme is licensed 100% GPL. This means that you buy it once and use for as many projects as you need. Kustrix is coded by the team of experts who use the latest web standards and technologies to ensure clean, readable and easy-to-modify code. Owing to the valid, semantic code your site will have better SEO ratings, impress your visitors with faster page loading speeds and get more flexible. 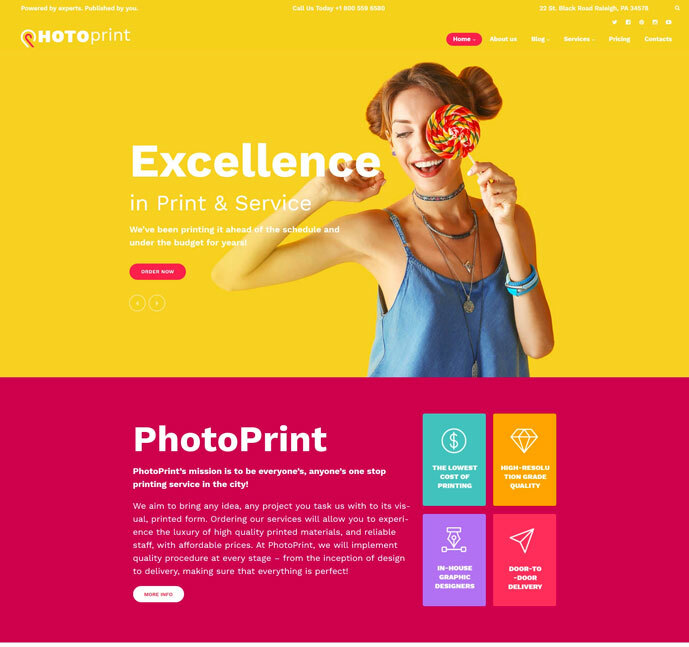 PhotoPrint is a creative WordPress theme intended for companies that provide various printing services, from color print to 3D print. Its bright, cheerful design makes it suitable for art, party, and children’s sites as well. The theme is highly customizable, so you can change its loud palette and adapt it to many other niches. With live customizer, all the changes can be previewed without page reload. PhotoPrint has the latest version of powerful open-source WP Cherry framework 5 in its basis. Power Page Builder allows you to considerably speed up the whole process of building layouts. All you need to do is just choose one of the layout options and insert a few more columns if necessary. 25+ modules will help you fill those columns with various content types. 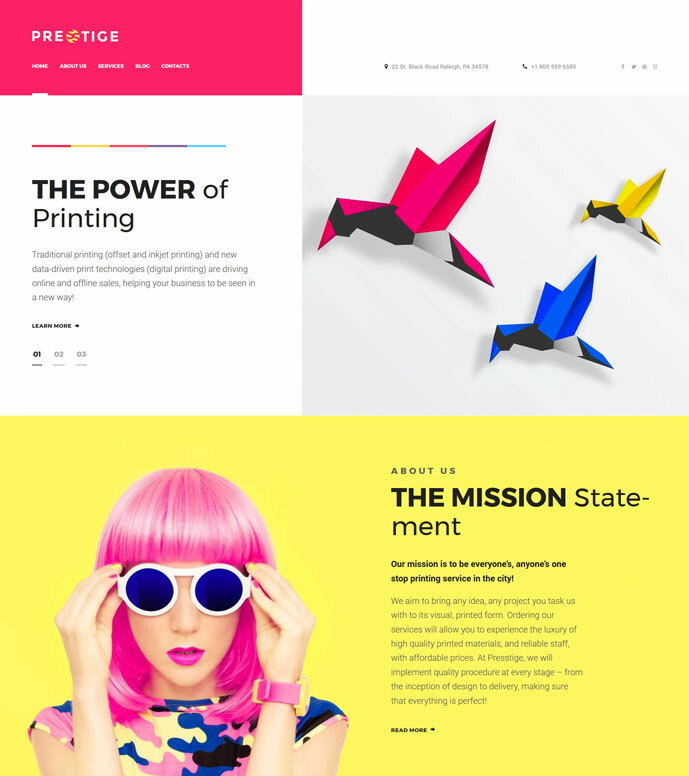 Apart from great UX and intuitive navigation, PhotoPrint is a SEO-friendly WordPress theme made for speed. Search engines will index its pages and rank them higher thanks to faster loading. You can also access modern Google fonts and maps in its package. The latter allows you to index the physical location of your printing and publishing company. The theme is well-documented, so you will easily deal with installation, configuration, use of plugins, and many other aspects. 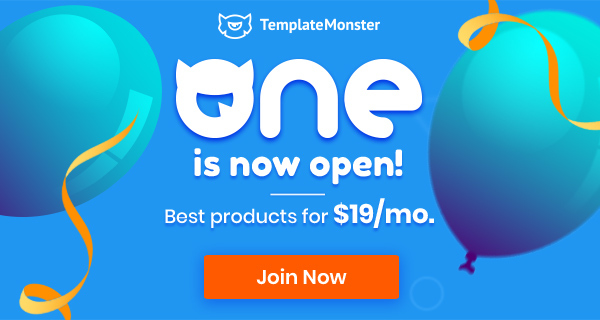 If you face any issues that you can’t figure out on your own, TemplateMonster provides an effective support. You can address all your issues to their professional team that is ready to help you 24/7. This service is available for a lifetime. Feel free to use it at no cost whenever you like. This clean and delicate design is optimized for handmade jewelry artists personal websites. It is created in soft mint colors. A highly customizable page layout of Jewelry WordPress Template provides site visitors with an intuitive navigation. It enables the user to browse website pages using not only main drop down menu, but large, appealing banners. The author of the theme has left enough white space, which makes the texts perfectly legible. Big headings are easy to scan. Besides, they create a perfect hierarchy on the web page. Ghost buttons seamlessly blend with the rest of the layout. The theme is 100% responsive. It offers its users Bootstrap 4 grid and advanced layout management. The theme is built on Cherry 5 framework. Moreover, it is equipped with Live customizer and Power page builder. So, the theme is not only adorable, but super-easy to customize. It looks like a dream of each and every jewelry artist or company.